Katie Allan Zobel admits that, if pressed, her children would have a difficult time explaining to others what she does for living — not that she hasn’t tried to put it all into context. 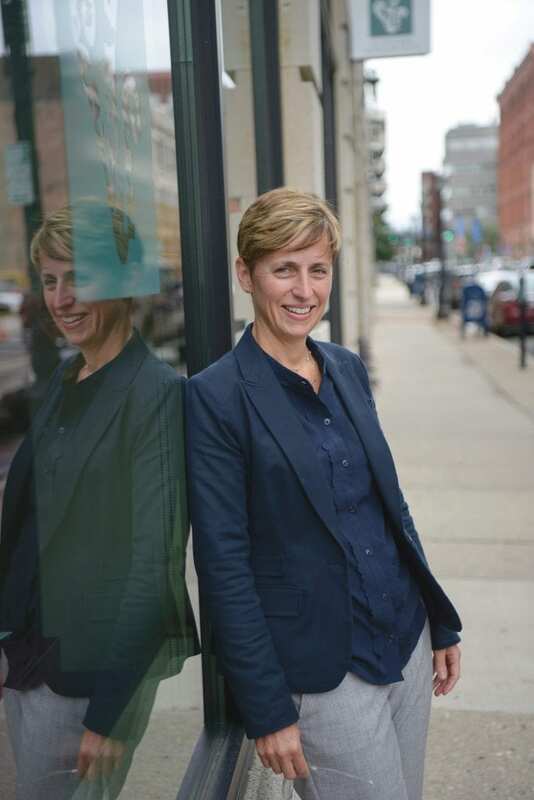 The quick, easy answer is that she is president and CEO of the Community Foundation of Western Massachusetts, and in that role, she oversees an agency that facilitates philanthropy to the benefit of residents and nonprofit agencies in Franklin, Hampden, and Hampshire counties. Again, that’s the easy answer. But Zobel doesn’t stop there, and shouldn’t, because there are many layers to her work that do make it difficult to articulate — to a child or even most adults. Indeed, beyond the title on her business card, Zobel is, above all else, a connector and collaborator, or what Ralph Tate, retired managing director of Standish, Ayer & Wood and chair of the board of trustees for the Community Foundation of Western Massachusetts, calls the “convener of choice” for business and nonprofit leaders across this region. 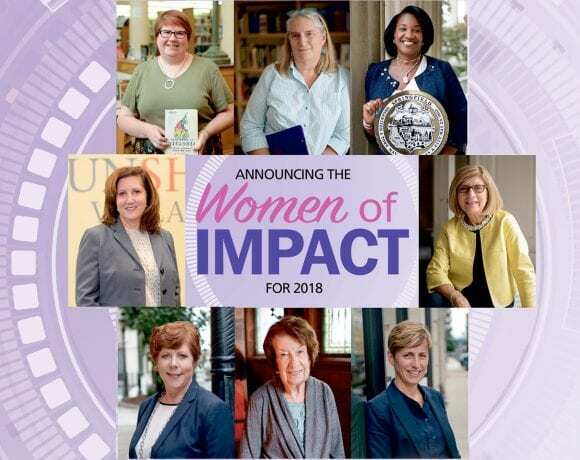 He also described Zobel as an innovator, leader, and a reader, too — she volunteers for Link to Libraries at the Edward P. Boland School in Springfield — and in all those roles, she’s taking the Community Foundation far, far beyond an organization that awards grants and scholarships, although it does that, too. Slicing through a long list of accomplishments and ongoing initiatives, Zobel is working to make the foundation — and individuals’ philanthropy — more effective and more impactful. Put another way, through innovation, perseverance, and a great deal of that convening described earlier, she’s working with others to take the art and science of philanthropy in this region to a higher plane. And to bring these thoughts into perspective, she mentioned a new initiative called Western Mass. Completes. This is an initiative involving the 10 area colleges and universities being attended by the largest numbers of Community Foundation scholarship winners, Zobel explained, and it is designed to help improve what she called alarmingly high numbers of first-year college students who don’t make it back for a second year, let alone to the podium on commencement day. In short, the program is designed to help the foundation not only send students to college, but see them through to graduation day, and it’s merely one example of how the ever-humble Zobel says she is working to lead the Community Foundation into, and on the cutting edge of, a period of change in philanthropy. Initiatives in this broad realm include adding new members to the team at the foundation, introducing and growing the hugely successful Valley Gives program, and even moving the foundation’s office from high in Tower Square to a street-level suite of offices on Bridge Street, where it is more visible — and also a key cog in efforts to revitalize the downtown area. “I like to say that I’m putting all the building blocks in place so by the time the next decade arrives, we’ll be in a position to meet that inflection and grow and be more effective for the community,” she told BusinessWest. Her success in assembling these building blocks, and in making the Community Foundation an ever-more powerful connector and collaborator, helps explain — to Zobel’s children and everyone else — why she is truly a Woman of Impact. While Zobel graduated from Boston College with a degree in English, she quickly gravitated toward philanthropy. Soon, it became a career. She held positions with WGBY and Amherst College — where she led the alumni fund to a record participation rate in 1996 — before eventually joining the Community Foundation in 2004. Since becoming president and CEO, she has led the organization to growth that can be measured in a number of ways, while fostering a mindset that places a much greater emphasis, on, well, measuring. That’s because this is what donors, and society in general, are demanding these days, she said, adding that, increasingly, groups and individuals want to see results from their philanthropy. To that end, the Community Foundation is using innovation, as well as its ability to convene and collaborate, to help ensure that those philanthropic investments have more of an impact. Examples abound and include Valley Gives. Katie Allen Zobel displays a symbolic check showing the amount of total grants and scholarships the Community Foundation of Western Mass. granted out to the community in fiscal year 2018. The answer to all those questions is ‘yes,’ and the three-year pilot has become a six-year pilot, a program that has raised more than $10 million for more than 800 nonprofits over that short span. 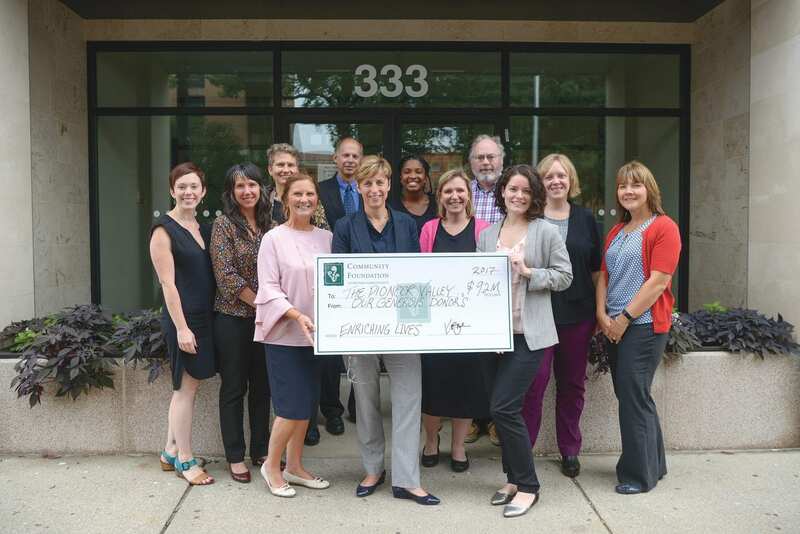 “We helped, we enabled … we didn’t raise any money ourselves,” she went on, adding that this is just one example of how the foundation has used innovation to not only assist nonprofits and those they serve, but also better understand the needs of this region. This discussion brings Zobel back to that notion of putting building blocks in place to make the foundation a more effective, more impactful (there’s that word again) force within the region. She said there are many of these blocks, including people (she’s still adding more members to the team), technology, such as online donations, for example, and, as noted, the right space. In Tower Square, the foundation served the community, but it wasn’t really a part of it, she explained, adding that the address on Bridge Street, and the community space that is part of that facility, is a far more appropriate location from which to carry out its mission. But there are other building blocks as well, she went on, listing, among other things, a better understanding of community needs and the forging of strong collaborations. Through these collaborations and partnerships, the Community Foundation has taken a lead role in several pilot programs and new initiatives, including something called Honors to Honors. This is a program whereby low-income students, most all of them first-generation students, from the area’s community colleges can transfer to the Honors College at UMass Amherst, and perhaps become better positioned to graduate with a four-year degree. Statistics show that first-generation students are even less likely to finish college, said Zobel, adding that Honors to Honors is another initiative aimed at creating more impactful giving. And it’s also another example of how the foundation is responding to the changing times within the broad realm of philanthropy and demands for results from one’s giving. “We’re in a culture that asks questions and demands answers,” said Zobel, adding that this mindset has brought her and the team at the Community Foundation to ask more questions themselves. And those related to the success rates of scholarship recipients comprise just one example. Those are important questions because getting a young person onto a college campus is no longer the goal — not that it ever was. More questions about this region’s needs, as well as its many assets and potential growth areas, has led to another intriguing initiative involving the foundation, this one focused on the arts community, called ValleyCreates. Indeed, the Community Foundation of Western Mass. is one of five community foundations to be awarded a $500,000 grant from the Boston-based Barr Foundation for a pilot program to help nurture the arts and creativity sector in the region. “This was an interesting new endeavor for us,” Zobel explained. “We were given a list of what they thought were about 58 arts organizations in the three counties, and we knew there were a lot more than 58. “We went out looking, and put together an advisory board to help us look, and we found more than 225 organizations in these three counties,” she went on, adding that many of these are small and had never reached out to the foundation for support before, in part because they didn’t have the capacity to do so. As a result of this learning experience, the foundation is responding in a number of ways, including training sessions to help these organizations focus on capacity building and specific issues and challenges like marketing, fundraising, and board governance, as well as the creation of an innovation grant to support arts and creativity. Meanwhile, a request for proposals is being readied for an arts hub — a digital clearinghouse that connects arts organizations across the Valley so they can share information and potential opportunities. The two-year program is another example of those building blocks, and also of Zobel’s efforts to build a stronger, more far-reaching, more impactful Community Foundation and a better-connected region. As she talked about these various initiatives, Zobel said they are very much a work in progress, a story with many chapters still to be written. Still, much has been accomplished already, and Zobel has established herself as a Woman of Impact, even if her children would have a hard time putting into words what she does day in and day out. She offered this explanation that might help a little — or a lot. “I work every day with people who want to make the world better,” she said, adding that, in the most basic of terms, it’s her job to help them do that.